ONCE MORE, the citizens have proven that they are still capable of aborting the plots of the military and the forces of counterrevolution. They have proven that revolutionary legitimacy is capable of seizing the deserved benefits of our democratic and social revolution. Here we see the plans of the military council fall back before our eyes--even if only temporarily--beneath the pressure of the citizens and their steadfastness in the squares. We see the terror of the generals at the possibility that this revolutionary wave would transform into a flood that their rule could not withstand. We should be optimistic today, as our revolution has achieved an important victory along the way by defeating Shafiq, but there are still fateful challenges before us. With the success of millions of Egyptians in frustrating the plans for the progression of the military's fascist candidate, despite the massive fraud and violations that were practiced to his benefit, we stand today with the military coup hanging as the sword of Damocles over our heads, hanging over the revolutionary forces confronting it with the utmost solidity and firmness. From here on, we place great value on the many efforts and initiatives that have been put forth during the past days, striving to build a front unifying the revolutionary ranks to end military rule. There still remain in the pockets of the military many traps and tricks. 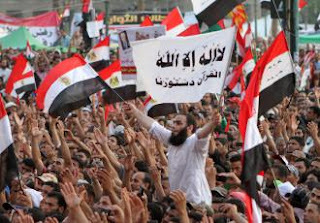 Given our previous experience, many doubts still surround the promises of the Muslim Brotherhood to continue with their sit-in after the success of their candidate until all demands have been achieved. It is incumbent upon the Brotherhood youth today not to permit the repetition of the leadership's mistakes leading to their abstention, bringing our revolution to this point a second time. Perhaps the military's boasting the dissolution of parliament was a decision they took long ago and only now took "out of the desk drawer" reveals the frailty of any ruler as long as Mubarak's generals rule from behind the curtain. The recent days and weeks have removed many masks, revealing the truth about numerous proclaimers of revolution who, when their interests were at stake, threw themselves into the embrace of the military without hesitation. For this reason, the coming weeks will be a discriminating sorting process for the political forces still present in the field, based on the degree of persistence in their positions and determination to satisfy the aspirations of the masses. The people will have no mercy on the Brothers or any others if they return to negotiations behind closed doors with the military yet again. -- 1) An end to the constitutional decree addendum, and the immediate surrender of power by the army. -- 2) Mohamed Morsi must announce his refusal to take the oath before the Supreme Constitutional Council. -- 3) Cancellation of the law permitting military arrests of civilians, and the cancellation of the National Defense Council. -- 4) The issuing of a presidential decision granting immediate amnesty for all political prisoners, and the rescinding of all military rulings pronounced against civilians since the beginning of the revolution. -- 5) A popular referendum on the dissolution of parliament. -- 6) The complete purging of all state institutions that have been militarized over the past months. -- 7) Stabilization of prices, an end to privatization, nationalization of the monopolies and the return of the companies for which the sales contracts have been overturned by the courts. Finally, we affirm that the organized pressure of the masses is the only way to achieve the goals of our revolution. 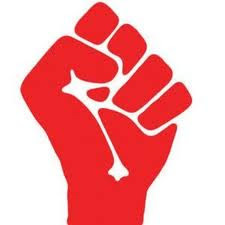 The revolutionary front has become an indispensable necessity, provided that it is founded upon real roots, that it adopts the social and political demands of the people, organizes them, and supports the struggle to attain those goals. This is the way toward the victory of the revolution. Down with the military coup!